Most plant families are distinguished by characteristic secondary metabolites, which can function as putative defence against herbivores. However, many herbivorous insects of different orders can make use of these plant-synthesised compounds by ingesting and storing them in their body tissue or integument. Such sequestration of putatively unpalatable or toxic metabolites can enhance the insects’ own defence against enemies and may also be involved in reproductive behaviour. 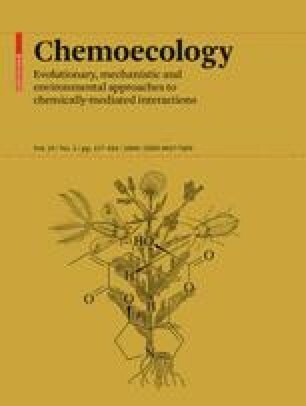 This review gives a comprehensive overview of all groups of secondary plant metabolites for which sequestration by insect herbivores belonging to different orders has been demonstrated. Sequestered compounds include various aromatic compounds, nitrogen-containing metabolites such as alkaloids, cyanogenic glycosides, glucosinolates and other sulphur-containing metabolites, and isoprenoids such as cardiac glycosides, cucurbitacins, iridoid glycosides and others. Sequestration of plant compounds has been investigated most in insects feeding or gathering on Apocynaceae s.l. (Apocynoideae, Asclepiaoideae), Aristolochiaceae, Asteraceae, Boraginaceae, Fabaceae and Plantaginaceae, but it also occurs for some gymnosperms and even lichens. In total, more than 250 insect species have been shown to sequester plant metabolites from at least 40 plant families. Sequestration predominates in the Coleoptera and Lepidoptera, but also occurs frequently in the orders Heteroptera, Hymenoptera, Orthoptera and Sternorrhyncha. Patterns of sequestration mechanisms for various compound classes and common or individual features occurring in different insect orders are highlighted. More research is needed to elucidate the specific transport mechanisms and the physiological processes of sequestration in various insect species. We thank M. Boppré, M. D. Bowers, S. Dobler, J. Kuhn, S. B. Malcolm, A. Nahrstedt, R. Nishida and J. R. Trigo as well as several anonymous reviewers for very constructive comments on this review. The authors received financial support from the Deutsche Forschungsgemeinschaft (project MU1829/1-1).